The anonymous killer in a hoodie and babyface mask is back, once again tormenting college student Tree Gelbman (Jessica Rothe) who ends up reliving the circumstances around her death over and over. The trailer picks up where the original ended, which means it basically spoils part of the ending of the first film where Tree supposedly defeated the killer. 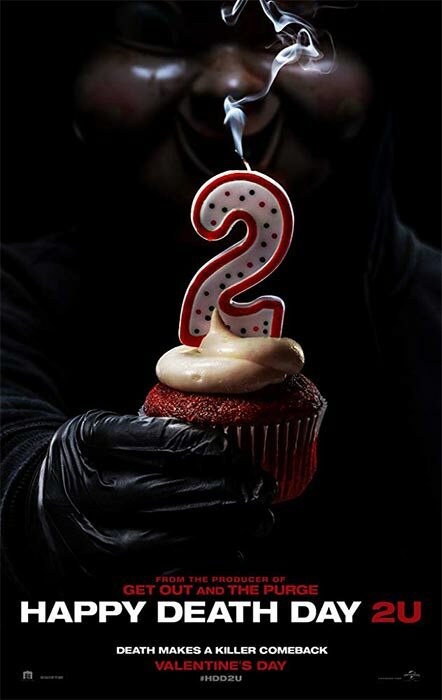 “Happy Death Day” was a commercial hit back in 2017, earning $122.6 million on a $4.8 million budget, and also earned praise from critics for its clever spin on comedy slasher genre. Christopher Landon is writing and directing once again and Jason Blum producing. Returning cast include Israel Broussard, Ruby Modine, Charles Aitken and Laura Clifton. 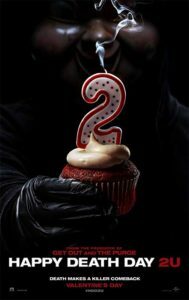 “Happy Death Day 2U” is set to open on Valentine’s Day, February 14, 2019. This entry was posted in Horror, Movie Trailers, Movies by admin. Bookmark the permalink.